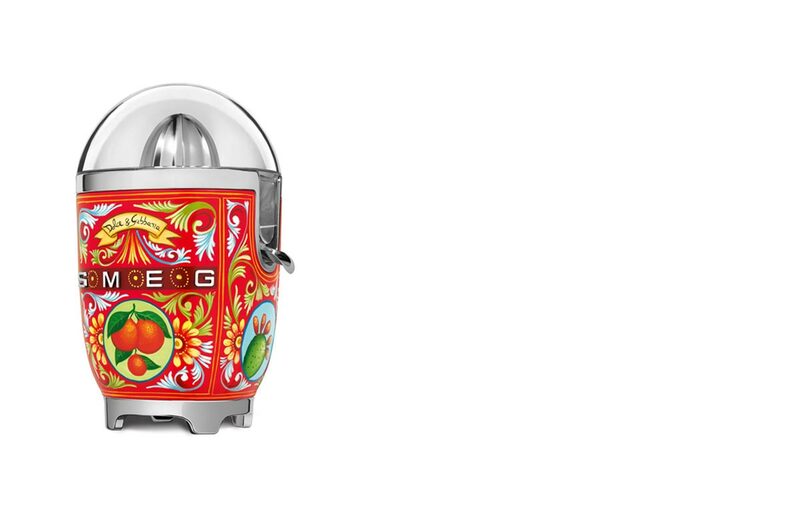 High-fashion is making its way into the kitchen with the Dolce & Gabbana and Smeg “Sicily is my Love” appliance collection. 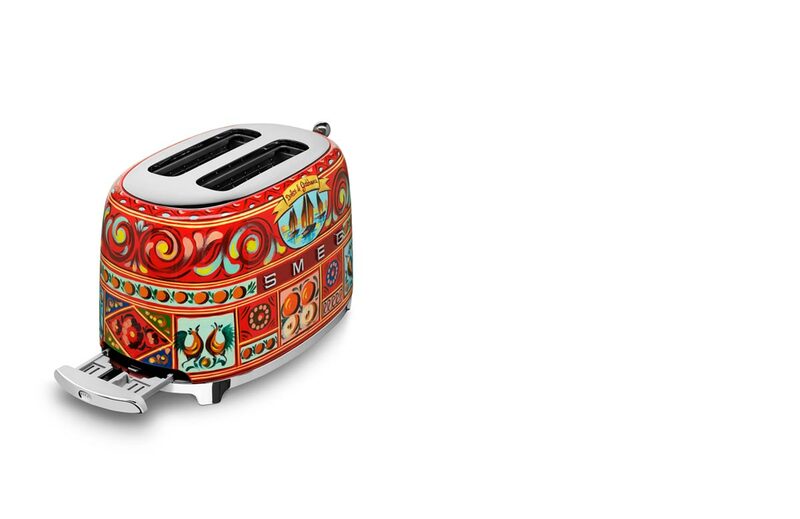 Inspired by the vibrancy of the Sicilian lifestyle, the combination of creative forces between the luxury fashion label and upmarket household appliance brand culminates in an explosive expression of creativity and colour. 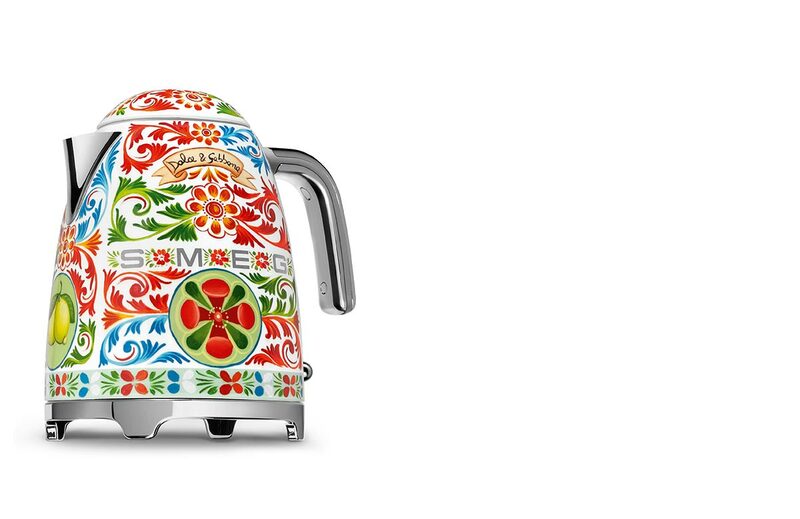 Currently comprising kettles, toasters and citrus juicers, the small appliances are adorned with Dolce & Gabbana’s signature decorative style that depicts gold lemons, prickly pears and bright red cherries in triangular motifs called crocchi. Upon closer inspection, you’ll also be able to spot the beautiful Sicilian scenery on display, with delicate floral motifs that are inspired by what you would find on the coasts and landscapes of Southern Italy. Besides the trio of products available in Singapore now, there will be plans to introduce the entire line of small domestic appliances soon. These include products like blenders, coffee machines and stand mixers, so be sure to keep your eyes peeled! Available for purchase at Tangs, Harvey Norman Millenia Walk and Smeg Gallery, these handcrafted kitchen appliances will surely make any kitchen countertop stand out. Want to give your kitchen the couture treatment? Don’t miss the chance to win yourself the “Sicily is my Love” kettle, citrus juicer and toaster that’s worth over $2,000 in total. Simply upload to Facebook and Instagram your best photo of the collection at TANGS or Harvey Norman Millenia Walk, along with a caption of why you love Smeg and the hashtag #ILoveSmeg for your chance to win! For more information, visit the Smeg Facebook page here.